Thrust into an all-new adventure, a down-on-his-luck Captain Jack Sparrow (Johnny Depp) finds the winds of ill-fortune blowing even more strongly when deadly ghost pirates led by his old nemesis, the terrifying Captain Salazar (Javier Bardem), escape from the Devil’s Triangle, determined to kill every pirate at sea - including him. Captain Jack’s only hope of survival lies in seeking out the legendary Trident of Poseidon, a powerful artifact that bestows upon its possessor total control over the seas. Additionally, the cast includes Kaya Scodelario, David Wenham, Geoffrey Rush and Brenton Thwaites. 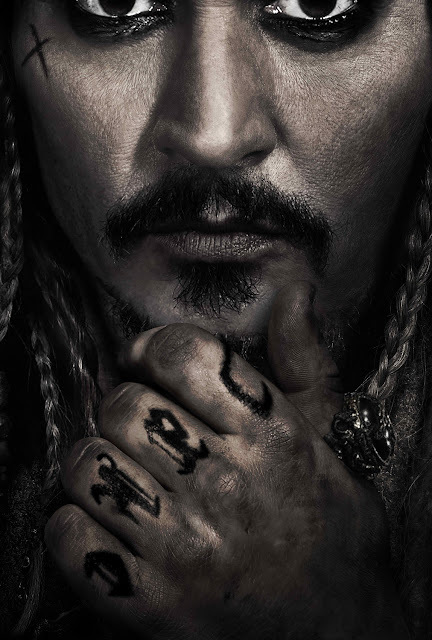 "Pirates of the Caribbean: Salazar's Revenge" is distributed in the Philippines by Walt Disney Studios Motion Pictures through Columbia Pictures. The film will bow in local cinemas starting May 24, 2017.